Burrito Bar is focused on building a brand but more importantly; a culture behind this brand. Our aim is to ensure we build a brand that customers want to be part of, and the key to this is to create a healthy and supportive environment. Our Burrito Bar customers crave a relaxed atmosphere where they feel at home, with a vibrant culture that is evident in the passion of our staff. We endeavour to continue to build customer loyalty and brand equity while we continue to master the art of street style Mexican dining. This is where you come in……We are looking for franchise partners who share our vision. This is a unique opportunity for us to be the market leaders in a field that exists exclusively through demand. The quick service, casual, exciting market combined with a healthy menu and the amazing fresh urban San Francisco street feel is a proven winner in the current economy. To achieve success, The Burrito Bar must stay true to our core brand identity and culture. 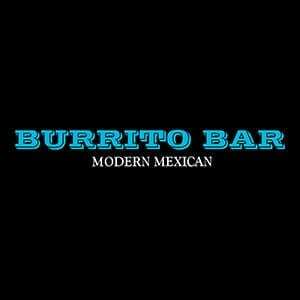 The Burrito Bar will continue to focus on the creation of a culture that is relaxed, fun and inviting. This is a place where friends want to hang out; a place where business people want to meet, and a place where mates get together for a snack after a game of tennis or just somewhere to rendezvous before a movie. We specialise in quick service where you can fly in and fly out. You can grab your meal quickly or sit and relax with your meal and beverage for as long as you desire. Being able to choose your meal and have it made right in front of you will ensure you always get what you want. Interested in TBB Franchise? Click Here! The Burrito Bar: To be a healthy, successful company that is a leader in customer service and has a loyal customer following. Economic and environmental sustainability to our business and to each customer. Franchise partner, this is a business you can feel good to be part of. Customers will want to spend time and spread the word of Burrito Bar to the world.